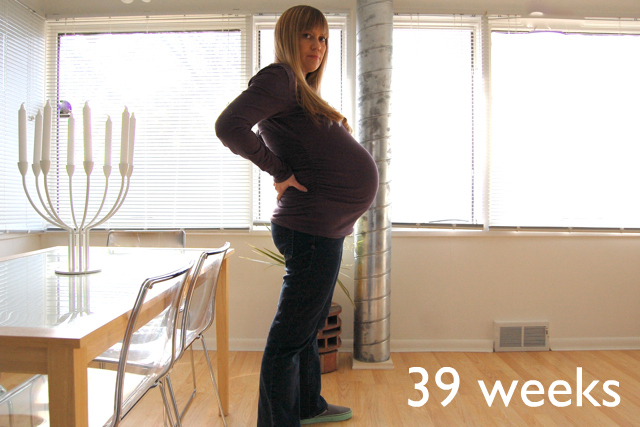 39 weeks: here we go, yo. Little dude, I'm so proud of us for making it this far. Your dad is so excited to have a little boy. I'm pretty thrilled as well. And your big sis is ready to wait on you hand and foot. She has lots of ideas about ways she can help you out. She'll shower you with hugs and kisses and songs and stories and funny faces. Get ready because I'm sure you will love her. So, this is pretty much it ... right? I'm having lots of strong contractions, but they're all over the place so I know it's not the real deal quite yet. This week? Next week? Any day? A huge thank-you to the blog readers, Twitter pals and most radical friends out there who have followed along and sent sweet wishes our way. I have enjoyed hanging out with you during this fun time of change. You are the coolest. I can't wait to introduce this little guy to you in the very near future. I just can't wait. I wish you and your family all the best! Greetings from Hungary. EEEEEEKKKKK !!!! Oh my goodness Jen, I really cannot wait and am super excited for you and Bo !!!! You have super popped this week and you look beeeeeeeeeautiful !!!! Will you do a birth story ?? Or a birth plan post ??!!! I would love a post of hospital/birth center bag and what you will take...etc !!! :) Just a few days more..
Wishes for your family and the lil one who is eagerly awaited. Have a safe delivery. Woo woo woo!! Go Jen!! :) Looking grrrreat!! So excited!